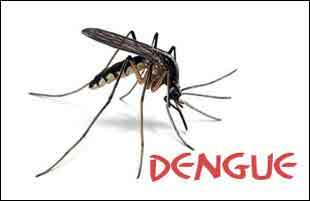 New Delhi: Over 270 fresh cases of dengue have been reported over the last one week in the national capital, taking the total number of people diagnosed with the vector-borne disease this season to 2,146, according to a municipal report released Monday. Of the total number of cases, 551 were reported this month till November 17. As many as 1,114 cases were reported in October only, the report said. Also, 450 cases of malaria and 150 of chikungunya have been reported this season, it said. Of the 2,146 dengue cases this year, 374 were recorded in September, 58 on August, 19 in July, eight on June, 10 in May, two in April, one in March, three in February and six in January. Two malaria cases were reported in February, one each in April and March, 17 on May, 25 in June, 42 in July, 82 in August, 138 in September and 130 in October, according to the South Delhi Municipal Corporation (SDMC), which tabulates data on vector-borne diseases in the city. Doctors have advised people to take precautions to ensure there was no breeding of mosquitoes inside their homes and also urged people to wear full-sleeves and use mosquito nets. The cases of vector-borne diseases are usually reported between July and November, but the period may stretch to mid-December. No vector-borne disease case was reported till January 13. The report said domestic breeding checkers found mosquito breeding in 2,27,818 households in the city till November 17 and 1,81,970 legal notices have been served for various violations and “25,731 prosecutions initiated”.